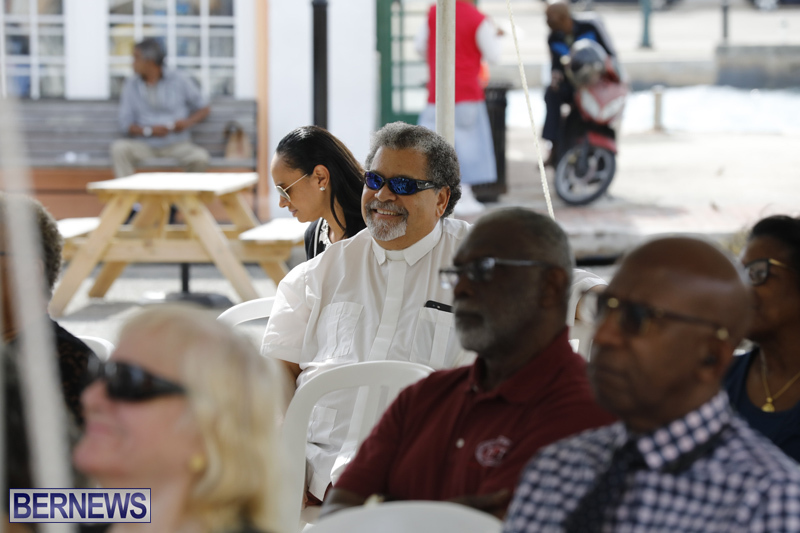 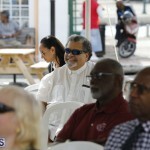 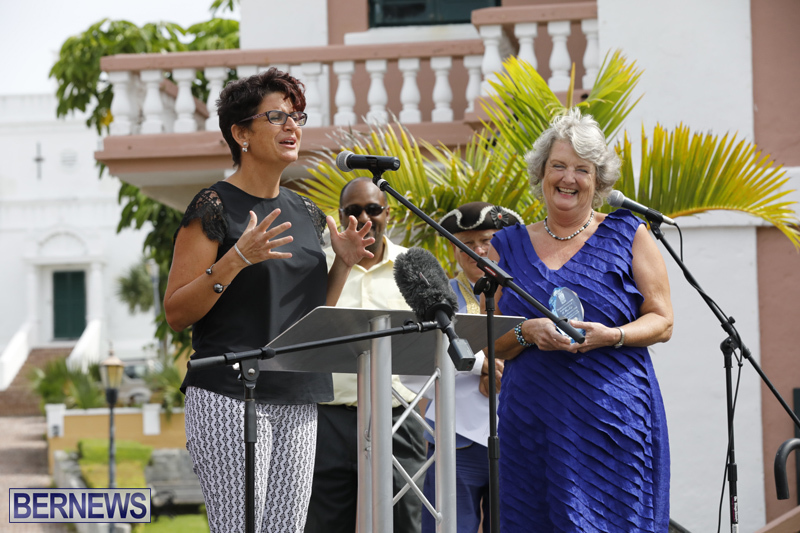 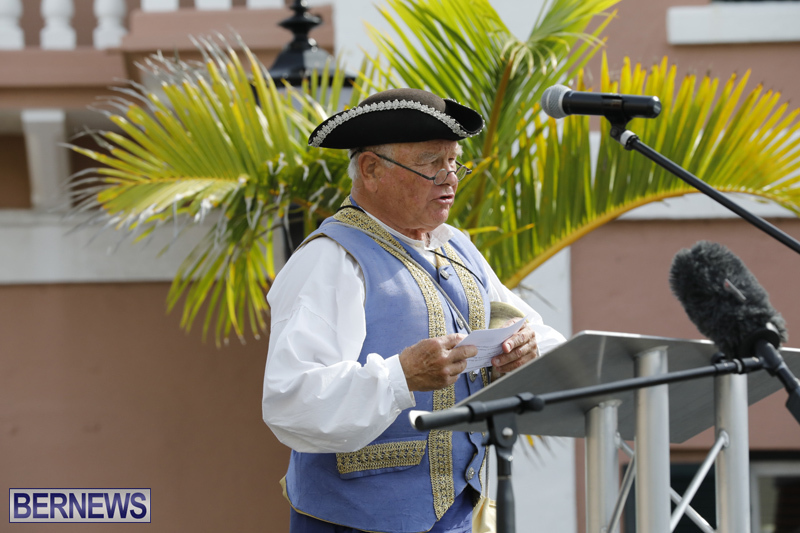 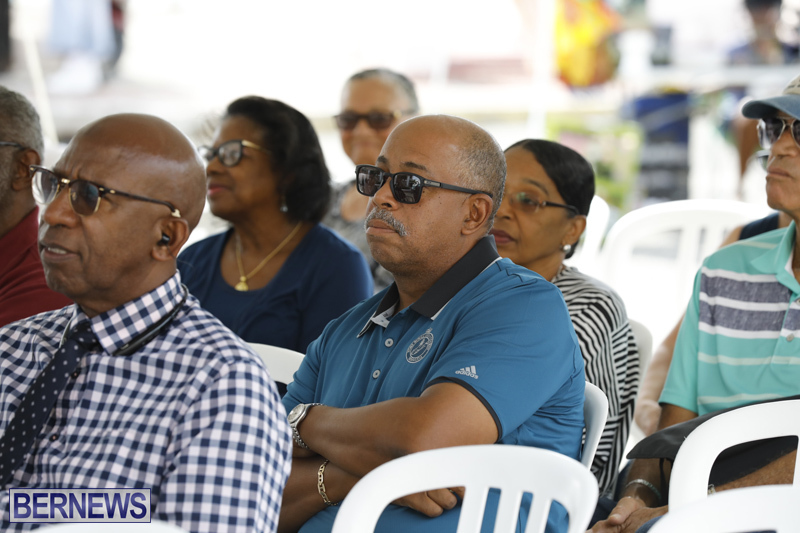 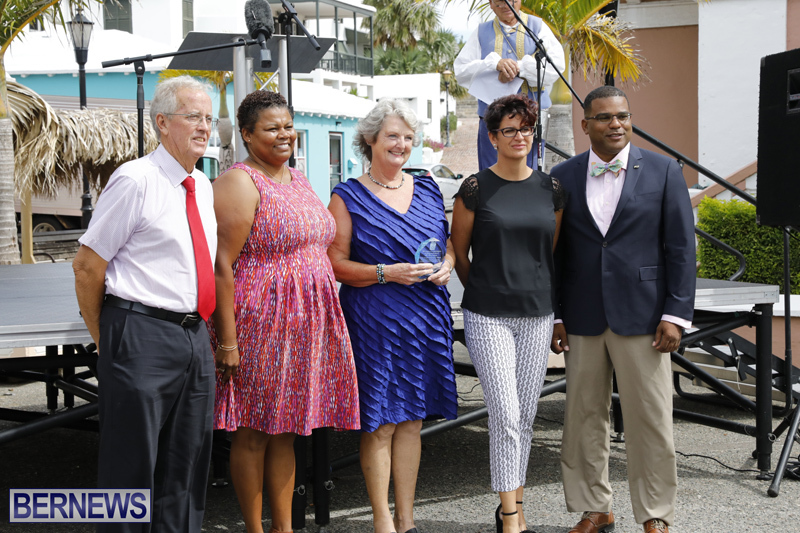 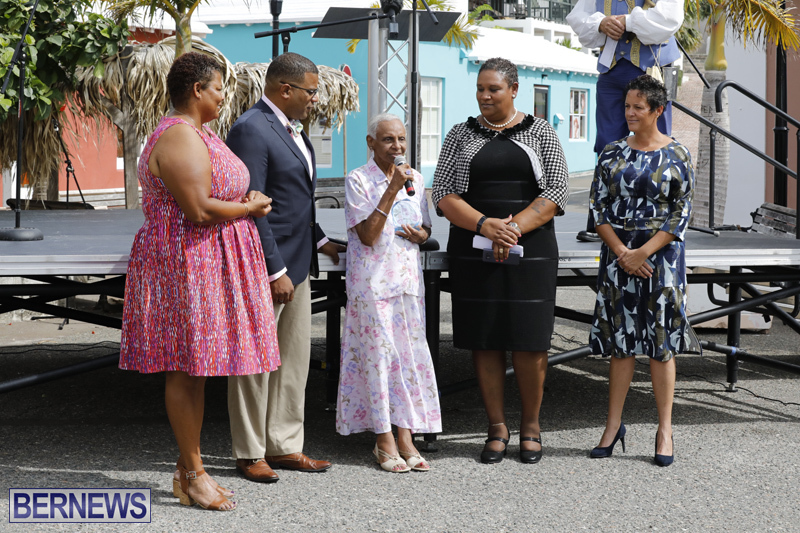 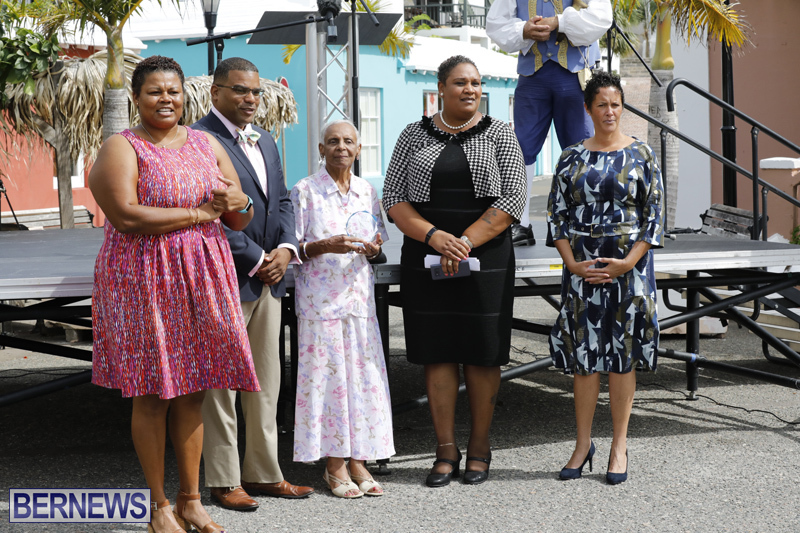 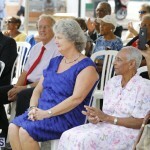 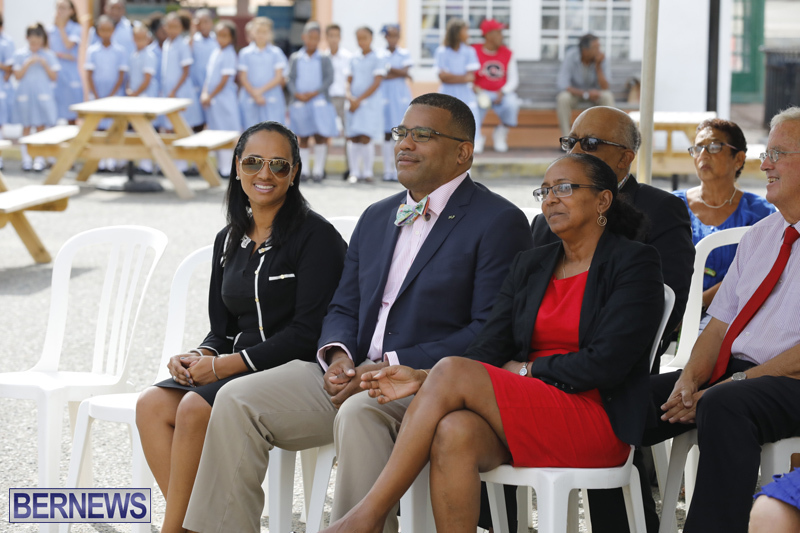 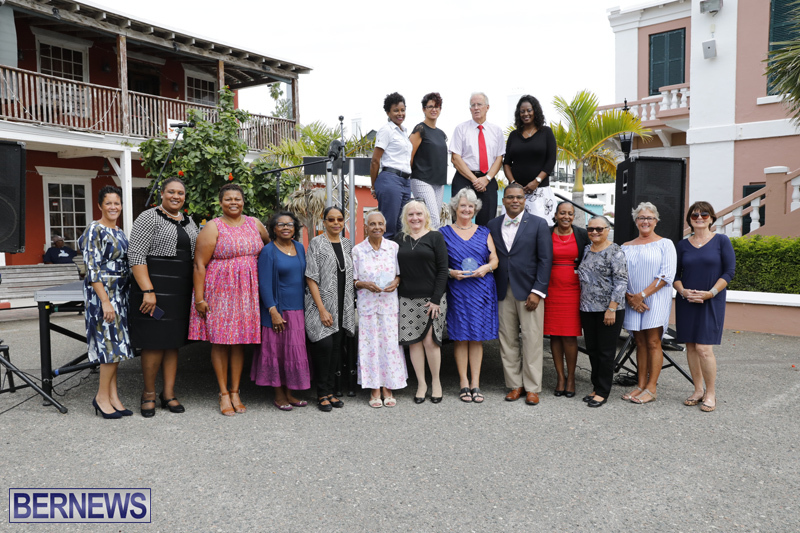 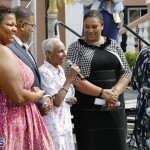 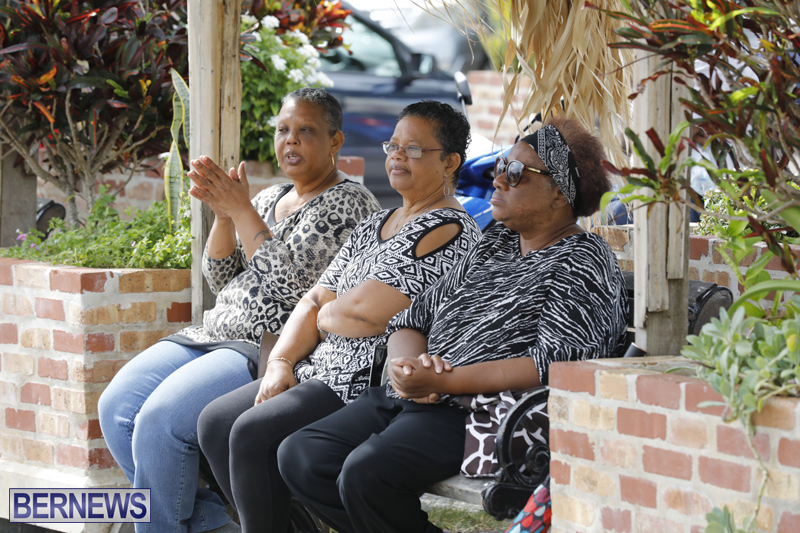 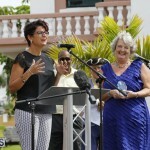 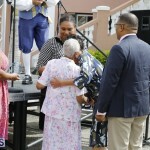 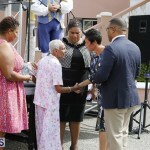 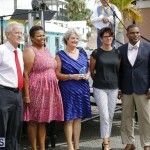 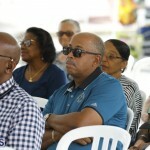 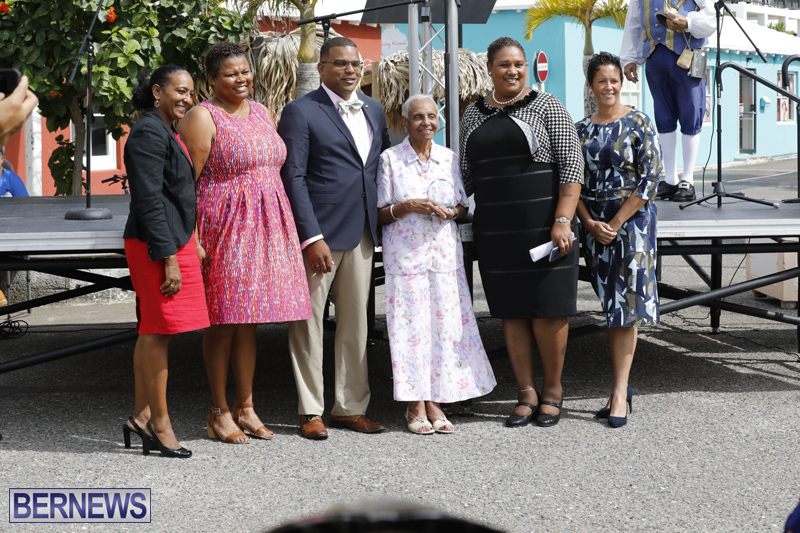 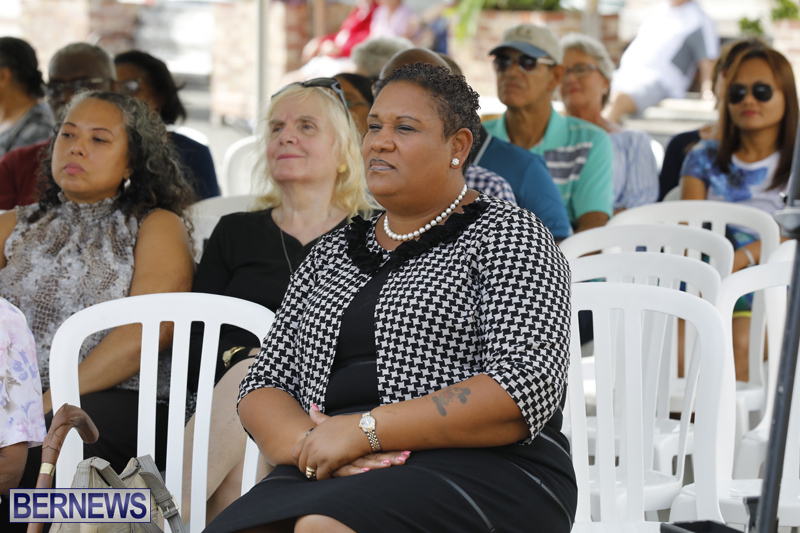 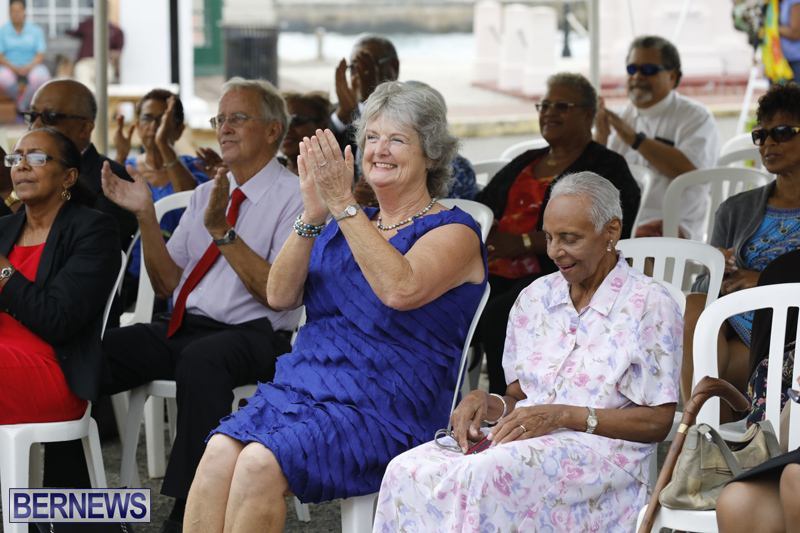 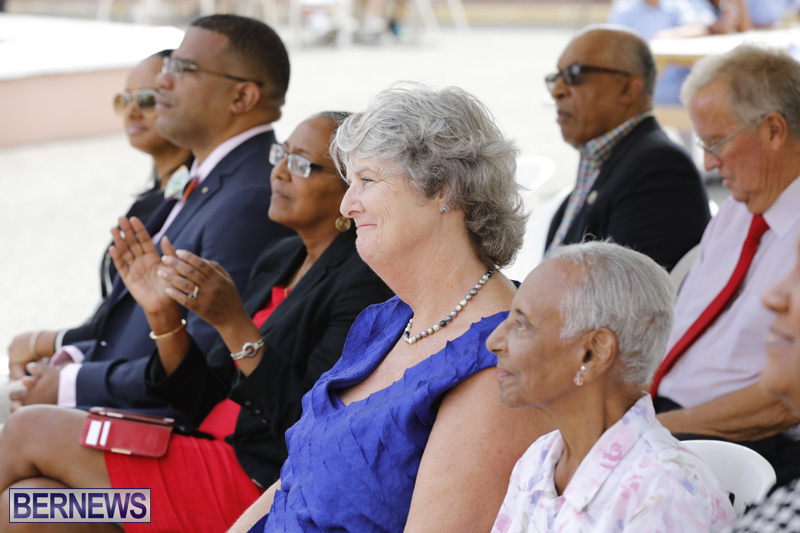 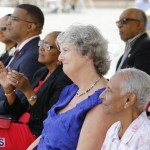 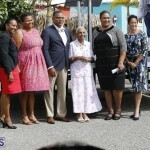 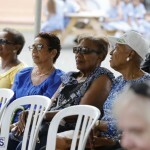 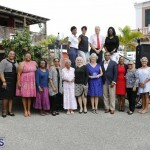 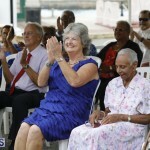 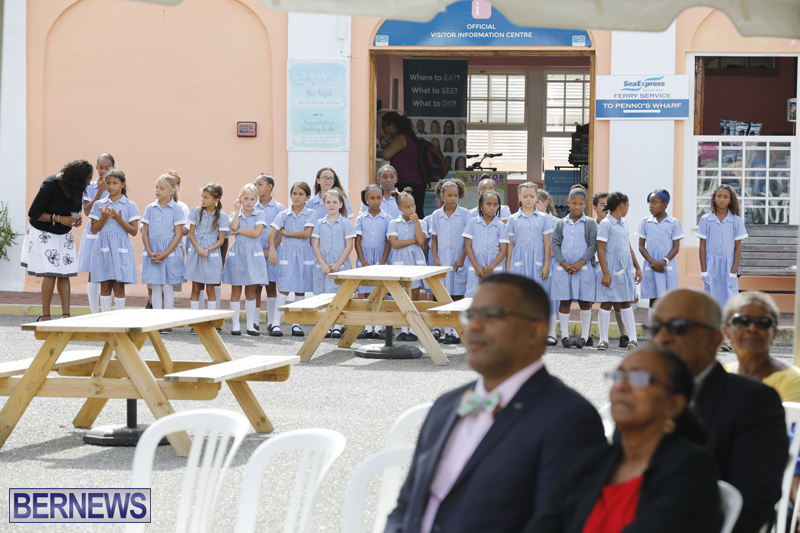 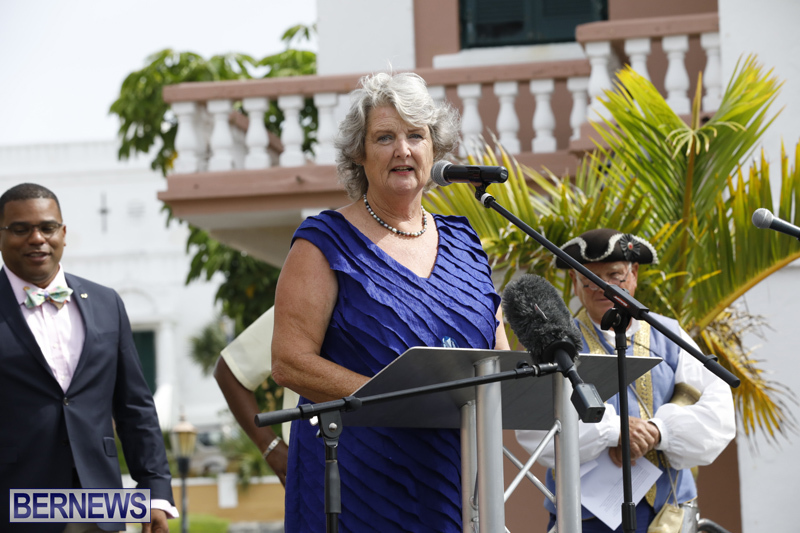 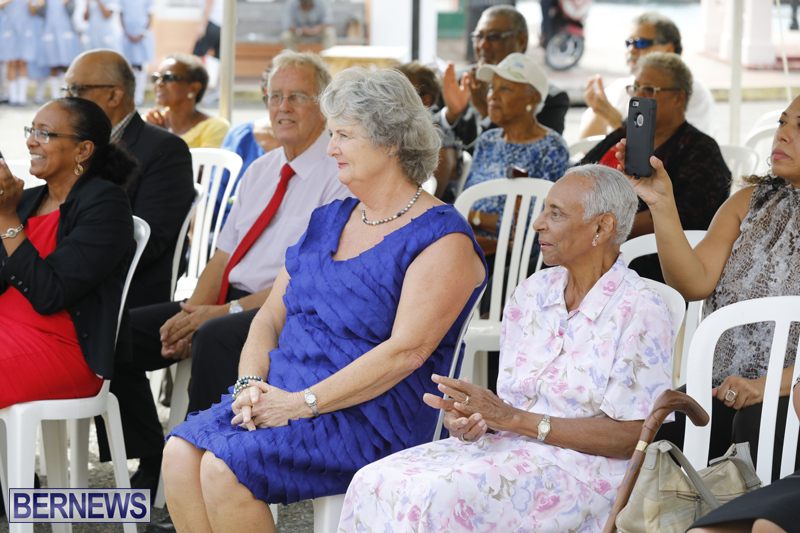 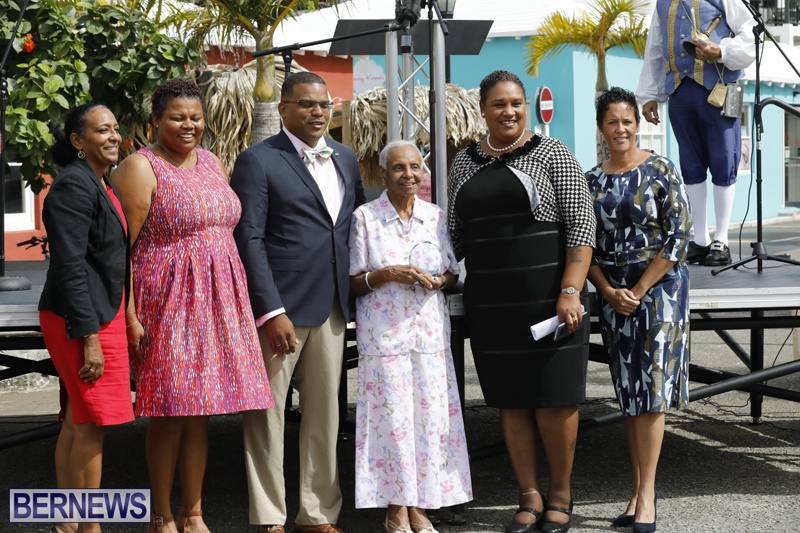 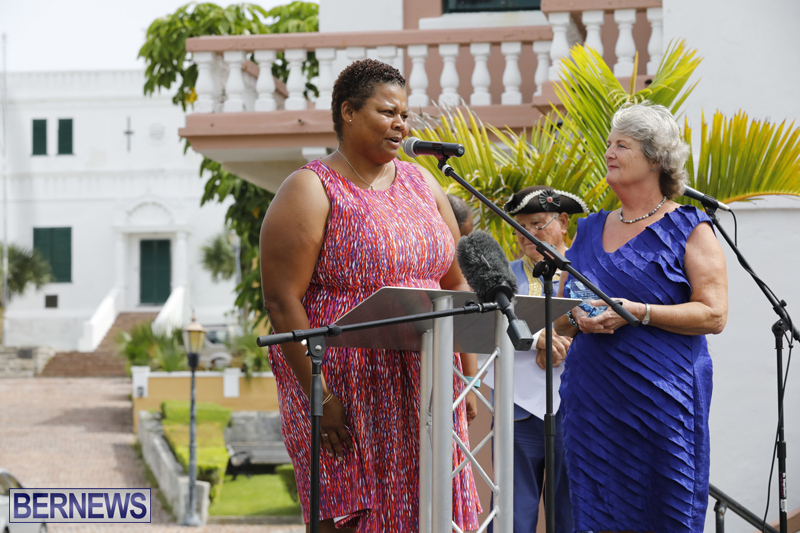 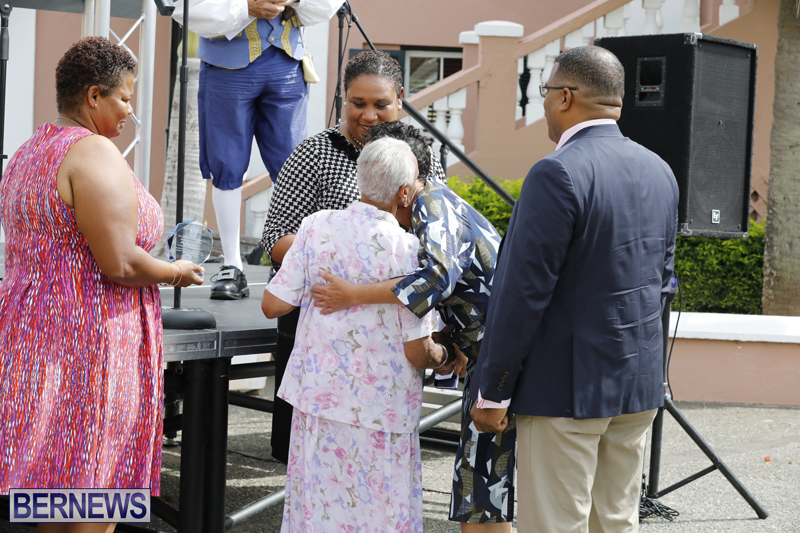 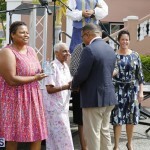 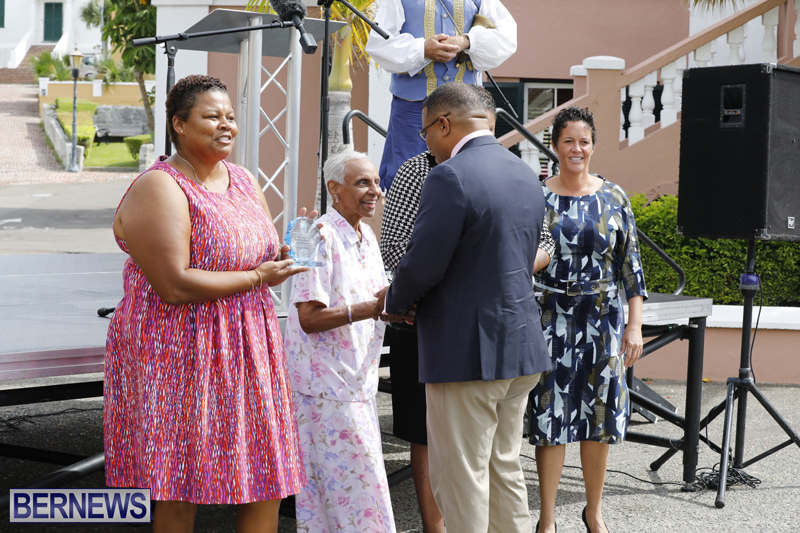 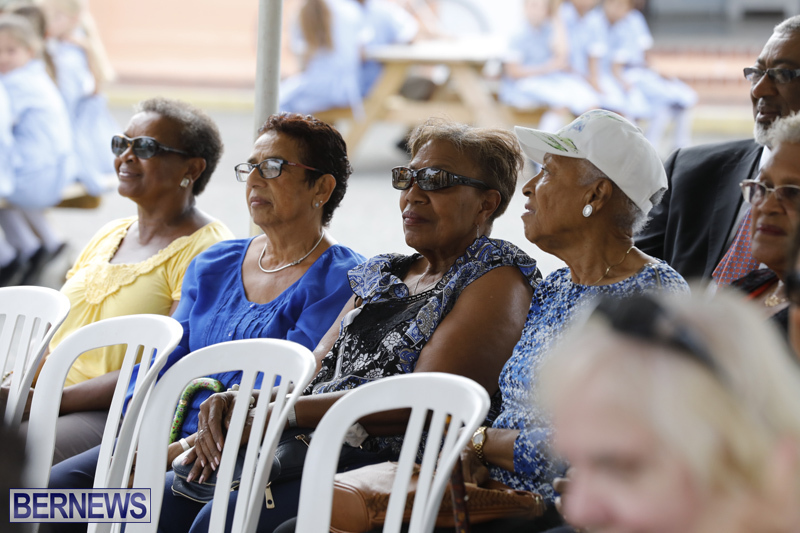 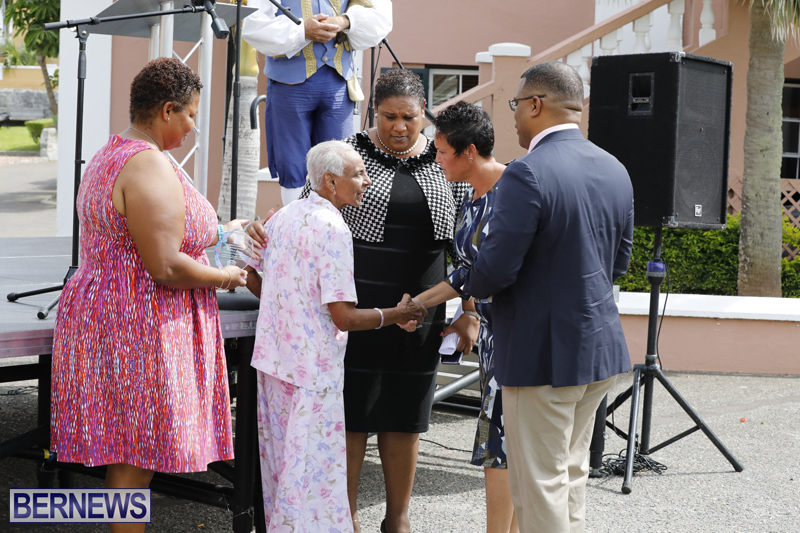 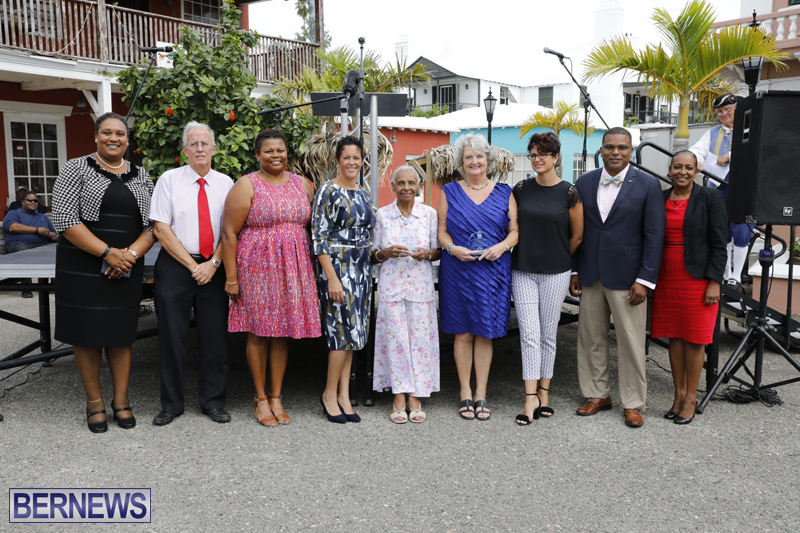 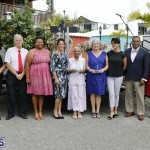 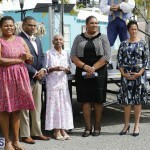 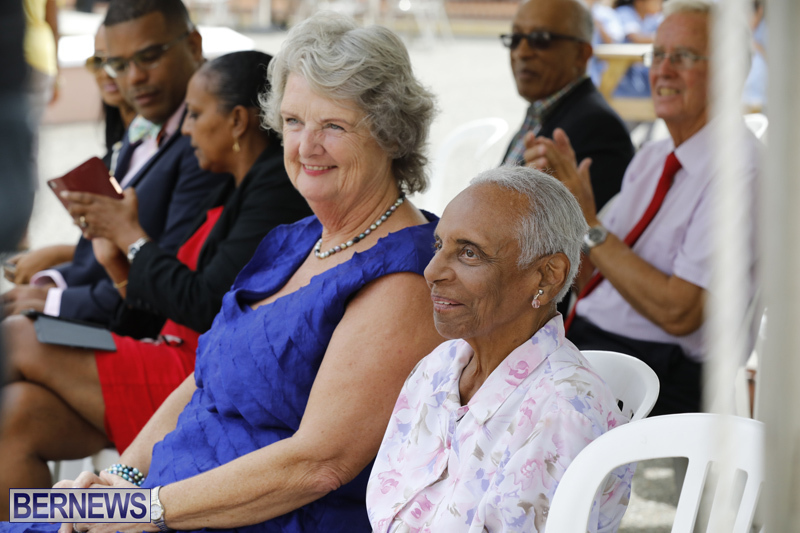 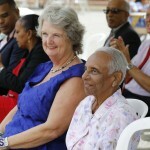 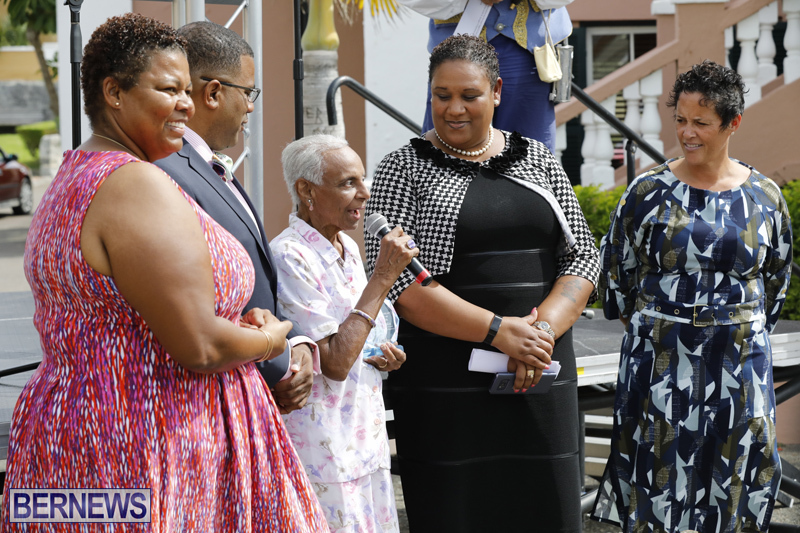 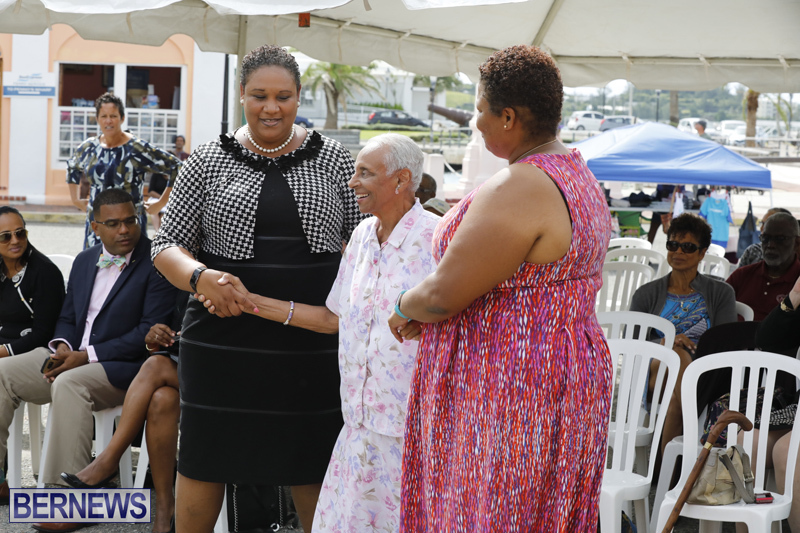 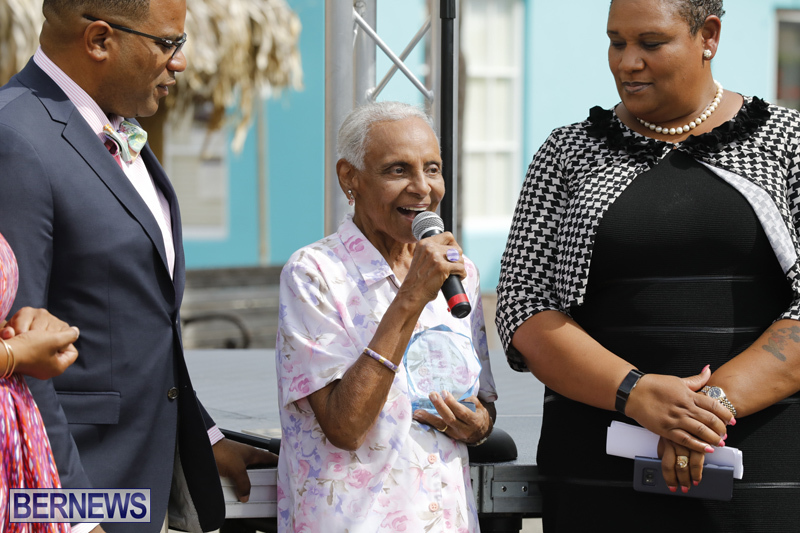 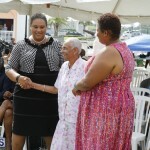 The Corporation of St. George celebrated UNESCO World Teacher’s Day today [Oct 5] with a ceremony on King’s Square, where they honoured educators Sheila Johnson and Mary Lodge. 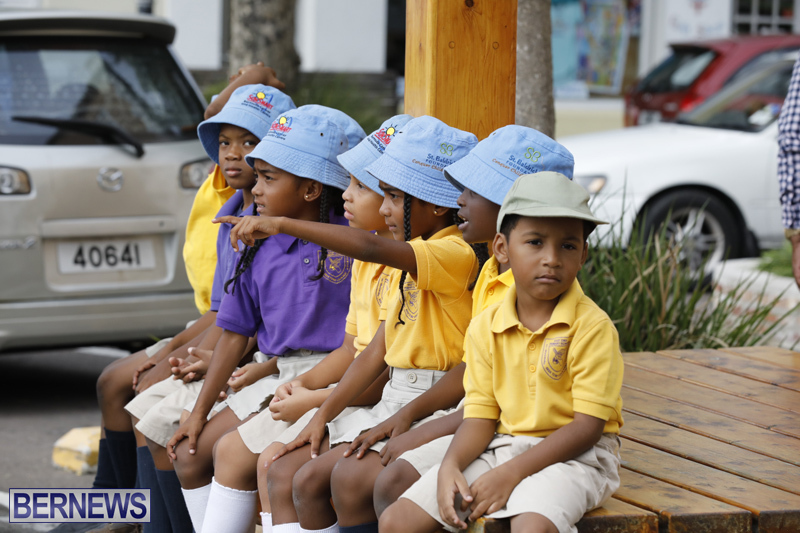 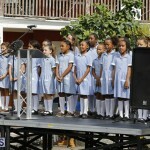 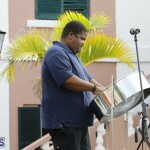 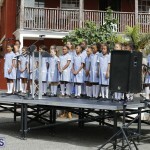 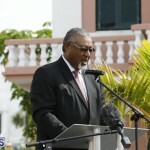 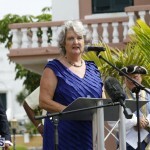 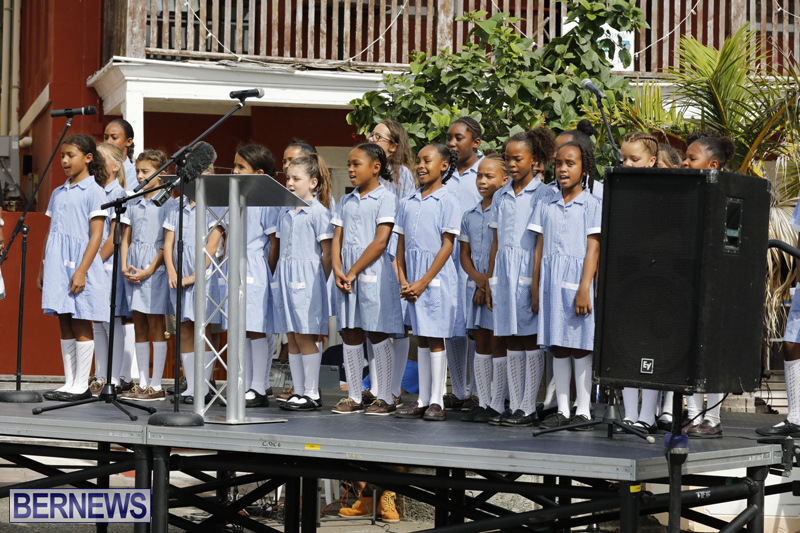 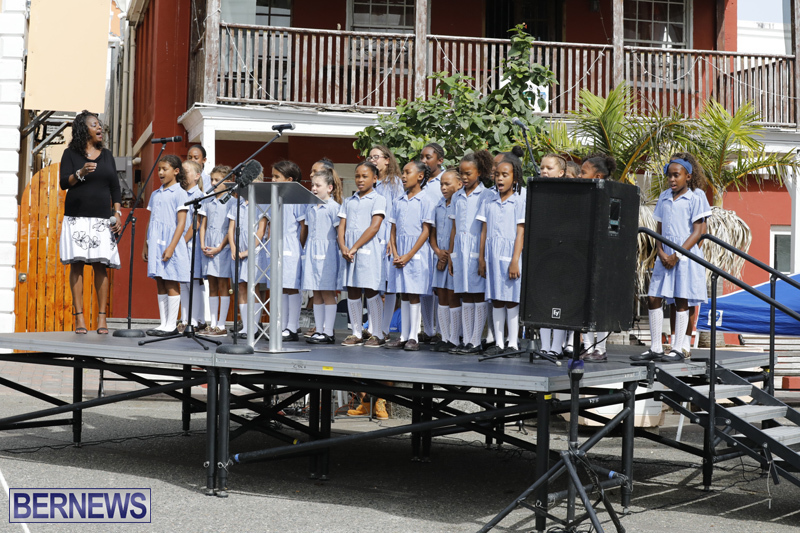 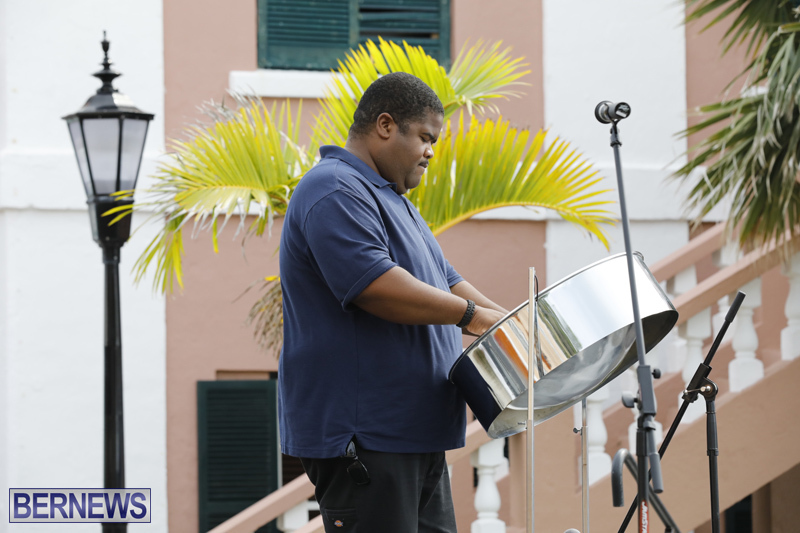 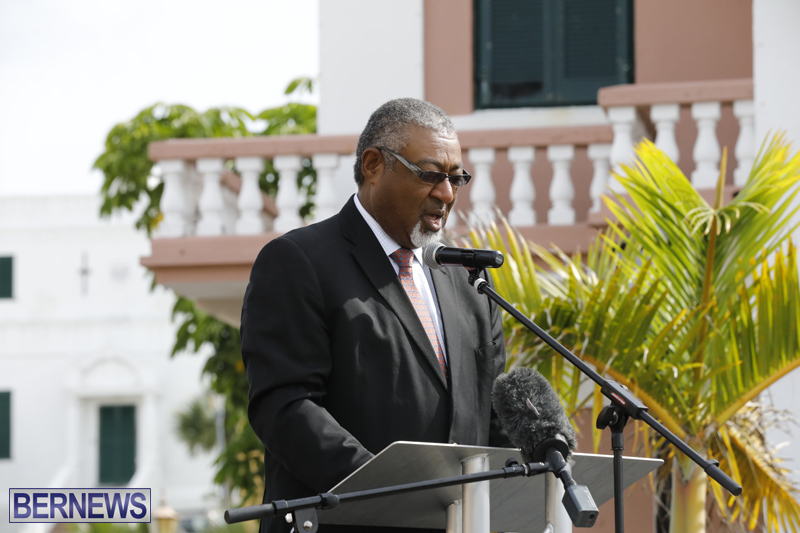 The event included remarks from St George’s Mayor Quinell Francis, Minister of Education and Workforce Development Diallo Rabain, St George’s North MP Renee Ming, Courtney Trott from the Corporation of St George’s, as well as musical performances from Paul Smith on the steel pan, and the St George’s Preparatory school choir. 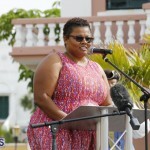 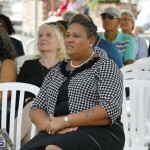 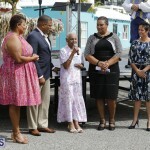 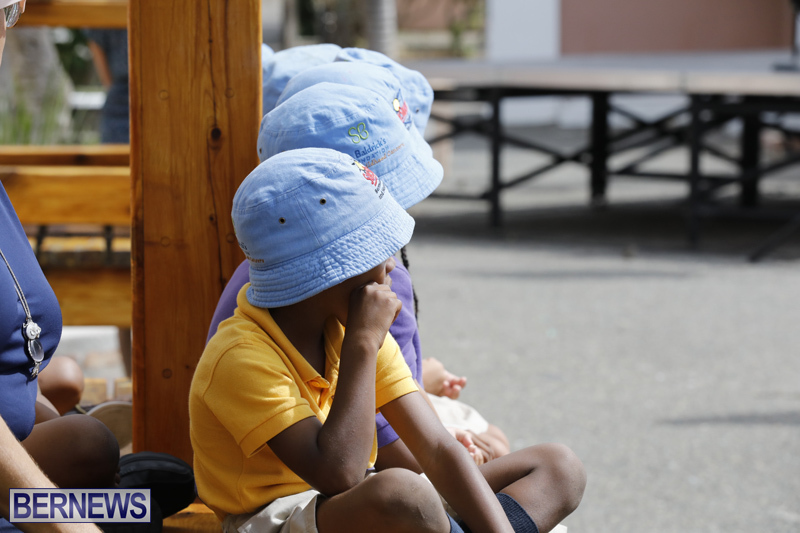 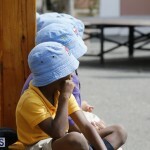 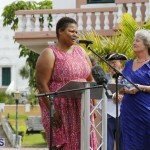 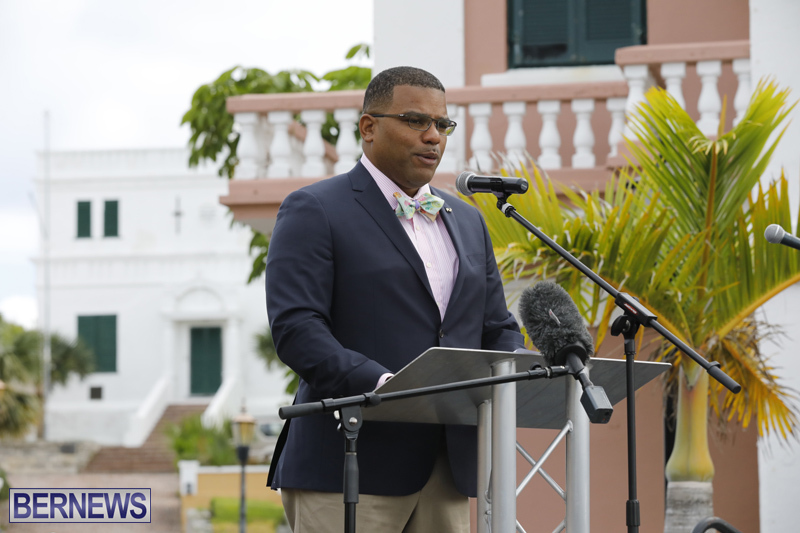 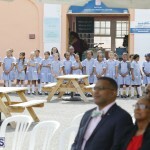 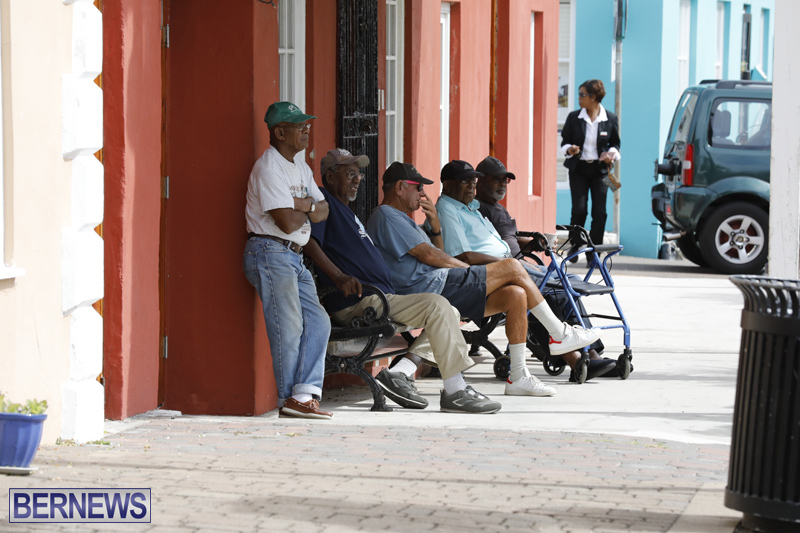 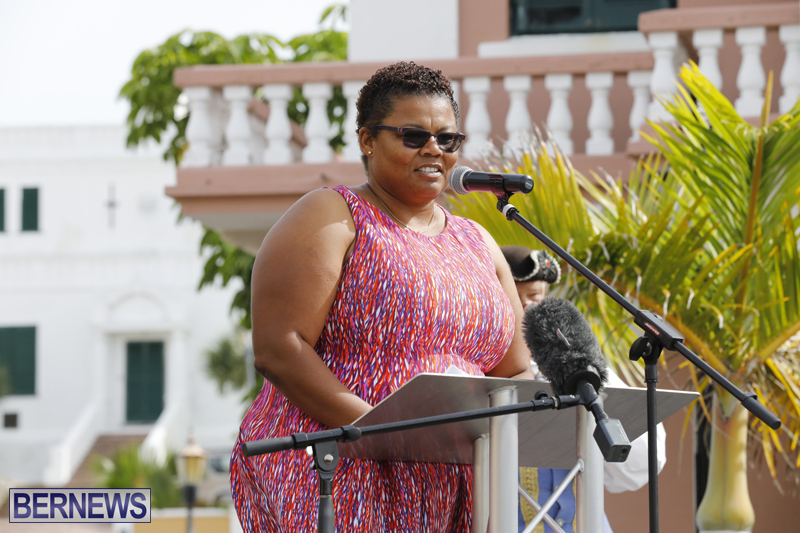 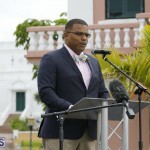 The event was attended by people including principals, students, teachers and administrators from east end schools, Minister for Government Reform Lovitta Foggo, Junior Minister of Disability Affairs Tinee Furbert, Bermuda Union of Teachers General Secretary Michael Charles, and Dr Freddie Evans. 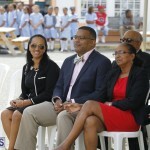 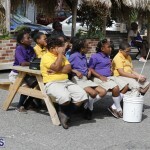 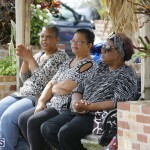 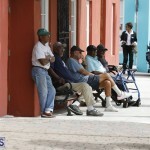 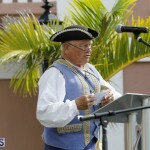 Why was Dale Butler former principal of St. George’s Sec. 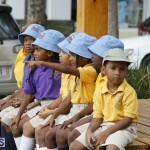 Left out?